Jamison Quarter Horses began breeding performance horses about 20 years ago for their registered Hereford operation, and today the long-time ranching family has become known as one of the largest Quarter Horse breeders in the country. 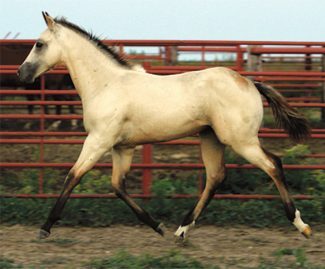 Their horse breeding operation is steeped in foundation bloodlines, based on Sun Frost, Driftwood, and Hancock breeding. When they first established their horse breeding program, they purchased a large number of broodmares from fellow Hereford breeder and AQHA Hall of Famer Albert Mitchell and his Tequesquite Ranch in New Mexico. Today, Jamison Quarter Horses has the largest band of Wilywood mares in the country, and headline stallions include PC Frost Em Peppy, TR Special Drift and two grandsons of Blue Valentine. 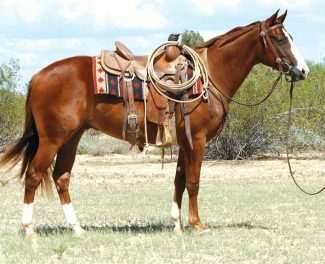 True to their bloodlines, Jamison Quarter Horses have a combination of cow, speed, and rodeo arena royalty that makes them versatile all-around performance horses, and they’re bred to perform on the ranch and in the rodeo arena. 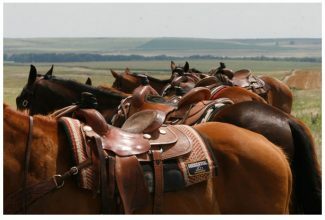 Selling 63 Seasoned & Prospect Ranch Horses Under Saddle. Ranch-Raised, all-around performance quarter horses. A program built upon the blood of legends: Sun Frost, Driftwood and Joe Hancock. Browse the catalog. View videos. Buckskin and pretty and can she ever glide. Pick to win some cowhorse futurities someday and then raise babies to do the same. May 7, 2016. 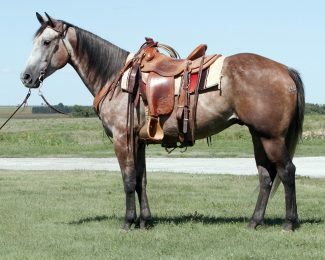 2011 Gray Gelding. Movie star good looking and black footed. Jesse Oleen started Winnwood and he has a solid foundation. Very good minded and wants to please. Strong Driftwood pedigree and the potential to be one of the elite. Where do you have the opportunity to buy an eight year old Frost Em gelding? “Happy” is easy going and level headed. He was involved in a pretty major wreck about three years ago, it left some scars and gave him two years off. He seems fine now and has been riding good this summer. After the time off, he hadn’t changed a bit. We represent him as a good one. 2014 Sorrel Gelding. 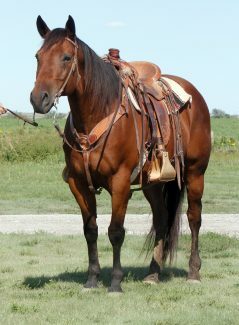 “Blaze” is a striking, flaxen-maned 2YO that’s bred and built to be a superb athlete. Supremely talented and trainable, his potent, proven pedigree warrants his future as an elite performance horse. Sharp and fancy made with balance, correctness, profite and looks, he’s built to “get around.” Here’s a unique pedigree, he’s got the license to be major-league! See Santa Fe Ranch Consignments starting on page 59 of the catalog! For complete information regarding the sale, click here. View the auction live and bid online at www.dvauction.com.